The status of unredeemed gift cards is a bit of a legal gray area. In 2009, the Credit CARD act was passed in the US, providing American consumers with quite a few protections when it comes to the purchasing and usage of gift cards. One of the most important aspects of this bill was the expiration date protection – the Credit CARD act set forth a mandatory minimum expiration date of 5 years. Previously, the expiration dates of gift cards had been set by individual retailers. This led to large amounts of breakage – cards that were purchased but never used – and was very consumer-unfriendly, as many consumers were hit with early expiration dates and high inactivity fees, among other issues. And while many states had passed statewide laws banning expiration dates on gift cards, the Credit CARD act set forth a federal, nationwide standard that eliminated consumer-unfriendly expiration dates. However, expiration dates are still allowed in most states – and after 5 years, individual companies may choose what to do with expired gift cards. Some companies are willing to honor an expired gift card – but, more commonly, businesses will simply write off an expired gift card, and will not honor it, keeping the profits gained by selling the card. Now, this is hardly an underhanded practice – after all, with a 5-year expiration date, it’s not a retailer’s fault that a consumer couldn’t redeem their card. It makes sense to abide by these regulations, and reclaim the balance of gift cards that are not redeemed within 5 years. However, this practice is being challenged by a bill proposed in Salem, Oregon by Democratic Senator Chuck Riley. This bill, known as S.B. 113, sets forth an alternative solution. After 5 years of inactivity, unused gift cards and gift certificates would become state property, controlled and regulated by the Department of State Lands in Oregon, until claimed by its rightful owner. Let’s take a deeper look at this bill now. Essentially, this method is a way that the state can reclaim unused property – and use it for public good. That’s how Mr. Riley presented S.B. 113 – he claims that the state can use the money from expired gift cards in order to improve public schooling in Oregon. This is because the Department of State Lands in Oregon invests heavily in Oregon’s Common School Fund – about $600 million in unclaimed property is held by the Department of State Lands, representing around 40% of the total investment in Oregon’s Common School Fund. The Common School Fund is used to invest in private companies, bonds, and securities – and the profits from these investments flow directly back to Oregon public schools. It’s estimated that, in the past 3 years, the Common School Fund has generated more than $26 million in funding for schools, representing a fair chunk of all public education funding in the state. Mr. Riley believes that reclaiming unused gift cards is a simple, low-impact way to increase the amount of money held by the Department of State Lands, and help maximize the return on investment of the Common School Fund. There is certainly an argument that can be made for this. After all, does it seem fair for corporations to profit twice off of the value of unsold gift cards? This is, essentially, what happens when a gift card goes unused and expires. The issuing corporation keeps the money made on the initial purchase and is not required to honor the expired voucher. This means that they also keep the property which would have been bought with the card – essentially profiting double due to a consumer who did not redeem their card. By expropriating this wealth and placing it into a common fund that benefits all Oregonians, Mr. Riley claims that everyone will be benefitted. 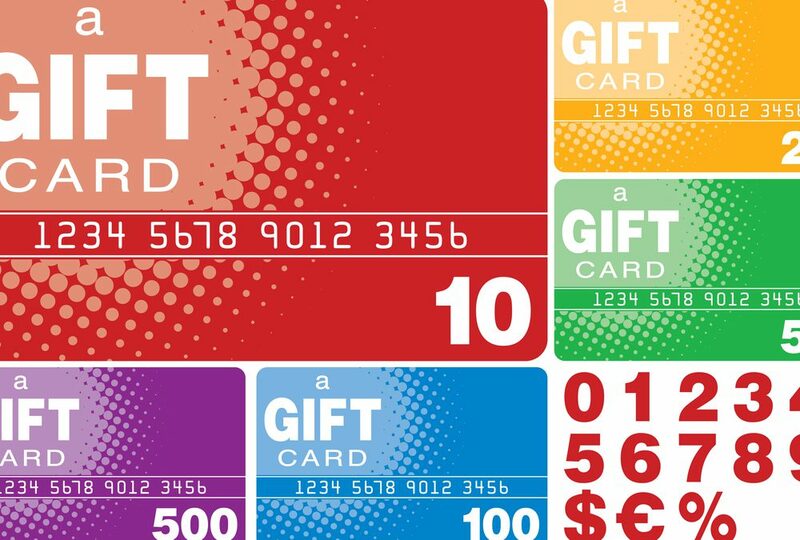 During an initial public hearing on the bill, he said that the Common School Fund is a “… much better place” for the value of unredeemed gift cards, as compared to the corporations who initially issued the gift cards. This bill, theoretically, would transfer the value of those gift cards directly to the state – where it could be used for the public good. However, it has come under some harsh criticism from retailers, the grocery industry, and gift card networks. The primary criticism leveled at the bill has to do with a 2008 Oregon law that predates the Credit CARD Act of 2009 – this law prevents the expiration of gift cards entirely. Essentially, by introducing this bill, a “de facto” expiration date would be added to all consumer gift cards – after 5 years of inactivity, the balance on expired gift cards would be turned over to the state. Consumer advocates and watchdog groups, however, argue that this is a consumer-unfriendly move. After all, why bother adding an expiration date to a gift card at all – if state law already prohibits it? It could be argued that this is counterproductive – and simply a means by which consumer money can be claimed by the government. In addition, the conflict between the 2008 Oregon bill preventing gift card expiration and this new state bill could cause corporations to be stuck between a rock and a hard place – they may decide to honor expired gift cards even after the funds have been turned over to the state – incurring double losses on those gift cards. This act is also controversial because it would change the way that the Department of State Lands handles unclaimed property. Currently, the Department of State Lands doesn’t use unclaimed property to pay for Oregon’s general everyday expenses. While property such as unclaimed checks, tax dividends, and inactive bank accounts are used in investments, the Department of State Lands has always held these funds in perpetuity for their original owners – should they appear and request their money, it will be provided to them. Gift cards would follow this same principle – in theory. If a consumer wanted to reclaim the value of their gift card, they could simply follow Department of State Lands guidelines, provide proofs of purchase and identification, and claim their property – all they would need is some kind of proof that they did, in fact, purchase a card that was reclaimed. However, it seems unlikely that most consumers would take that extra step. If a consumer has not managed to locate or use a gift card for 5 years and its balance is reclaimed, it is unlikely that they would be able to find some kind of proof of purchase of that gift card – effectively rendering their property inaccessible. Because of this, lobbyists like Shawn Miller of Northwest Grocery Association say that the bill will introduce “de facto” expiration dates for gift cards. Customers would either be unaware of – or unable to use – the correct Department of State Lands avenues to reclaim their property, and would simply accept that their gift card balance has been lost. Certainly, there are powerful arguments to be made whether you’re for or against the bill – while this bill does represent a significant public good, it could also be extremely damaging to consumers and retailers, if not implemented wisely. Even if the bill does not make it to legislation in its current state, it seems likely that a revamped version of the bill will eventually make it to state legislatures – and it will certainly be interesting to watch the response of legislators to the proposal. Who Will Be Affected If It Passes? In its current state, this bill is actually quite limited in scope – being a state bill, it would only apply to companies that are based in Oregon. This is due to a past Supreme Court ruling related to the reclamation of gift card funds. In this ruling, it was decided that in absence of a gift card holder’s address being known, unredeemed gift card value reverts back to the state in which the company is based – not the state in which the card was sold. Essentially, this means that only companies headquartered in Oregon would have to deal with the bill, if it passes. Companies with locations in Oregon would be totally unaffected – as long as their primary business location was incorporated outside of Oregon, unclaimed funds would revert to that particular state – avoiding the effects of S.B. 113 entirely. This limited impact is yet another reason that some have leveled harsh criticism at S.B. 113 – as it would reduce the ability of small, Oregon-based businesses, retailers, and restaurants to compete with larger nationwide chains. While Oregon-based businesses would be faced with complying to S.B. 113, large chains that are incorporated outside of the state could totally ignore it – meaning that competition would be even harder for small business retailers and restaurants based in Oregon. What Other States Have Similar Bills? Though it is controversial – and perhaps not perfectly designed in its current form – Oregon S.B. 113 is not without precedent. About half of all US states have some sort of guideline in place when it comes to dealing with “abandoned” gift cards. Idaho, Washington, Alaska, Nevada, and dozens of other states have regulations that presume “abandonment” of gift cards – with expiration dates ranging from 2-5 years. At the heart of all of these bills is escheat law. Escheat law sets forth a variety of guidelines that control how abandoned property can be reunited with its rightful owner – and unused, expired gift cards certainly count as abandoned property. Properly implemented, these escheat laws can help consumers file for reimbursement if a gift card they possess has expired. However, the same problems that are anticipated for S.B. 113 are common in each of these states – most consumers are totally unaware of the processes required for escheatment reclamation, and this leads to problems for retailers. These controversial laws have resulted in some compromises by states – many have relaxed their laws to aid retailers in reclaiming expired gift card funds that are spent by consumers – even after they are reclaimed by the state. Modern gift card technology is at the heart of this. Because retailers can easily track individual gift cards, and their balances, they can easily recognize if a card marked “in escheatment” has been spent – and request that the state turn over the relevant money spent by the consumer. While this is not a perfect solution, it does offer a compromise – the state is able to reclaim unused funds, and individual retailers have the ability to request compensation if those supposedly “abandoned” funds are used at their establishments. It seems highly unlikely that the complexities of these escheatment laws and regulations will be cleared up in the near future. However, if states continue to pass laws regarding the reclamation of unspent gift card laws, it seems highly likely that federal law will take notice. Perhaps a law similar to the Credit CARD Act of 2009 could be passed, setting forth binding rules and regulations on a federal level – and bypassing the complexity and intricacies of state regulations, such as the proposed S.B. 113 in Oregon. Regardless of the outcome of S.B. 113, this is certainly an interesting time for lawmakers and gift card retailers – and both should be dedicated to finding a consumer-friendly way to hold the balances of unused gift cards for reclamation, and use unspent dollars for the public good. Don’t Let Your Gift Cards Expire – Sell Them, Instead! You don’t have to wait for your gift cards to be held in escheatment to reclaim their value. If you have a bunch of unwanted gift cards that are about to expire, don’t just wait until they do – sell them now, with EJ Gift Cards! We offer a simple, intuitive method of selling gift cards – we pay cash through PayPal, and accept hundreds of gift cards. So if you’ve been stuck with a gift card you can’t use, don’t rely on outmoded government agencies or complex rules and regulations to get your money back. So don’t wait any longer. Sell your cards to EJ Gift Cards – and get cash via paypal!